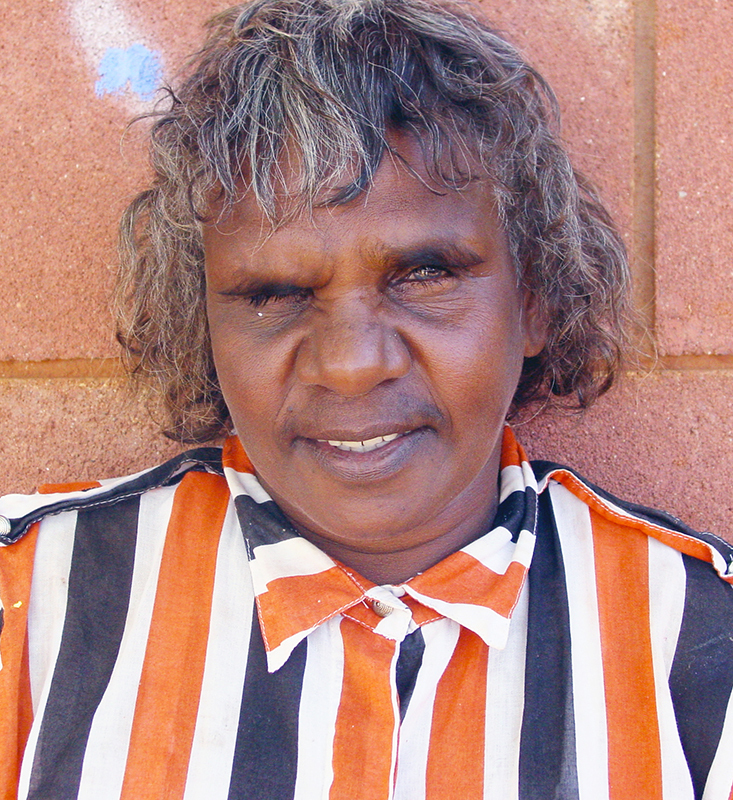 Lola Nampijinpa Brown was born in Ti-Tree, a small community 193km north of Alice Springs in the Northern Territory. As a child her family moved to Willowra where she grew up and went to school. It is in Mt Allen that Lola married her first husband, to whom she was “promised”. They were married at Mt Allen and had seven children, four boys and three girls. Lola was a regular artist at the Mt Allen art centre. This art centre has since closed and she now divides her time between Alice Springs and Yuendumu. She has been actively working at Warlukurlangu Arts in Yuendumu since 2002. It was at Yuendumu that Lola met her present husband, Christopher Japangardi Poulson who is also a well-respected artist from that area. 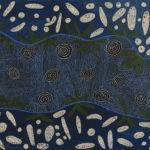 Lola paints water dreaming (Ngapa Jurkurrpa) stories associated with Pikilyi (Vaughan Springs). This is a large and important waterhole near Mount Doreen Station. These stories have been passed down to Lola from her mother and aunties – much the same as they have been passed on for thousands of years.